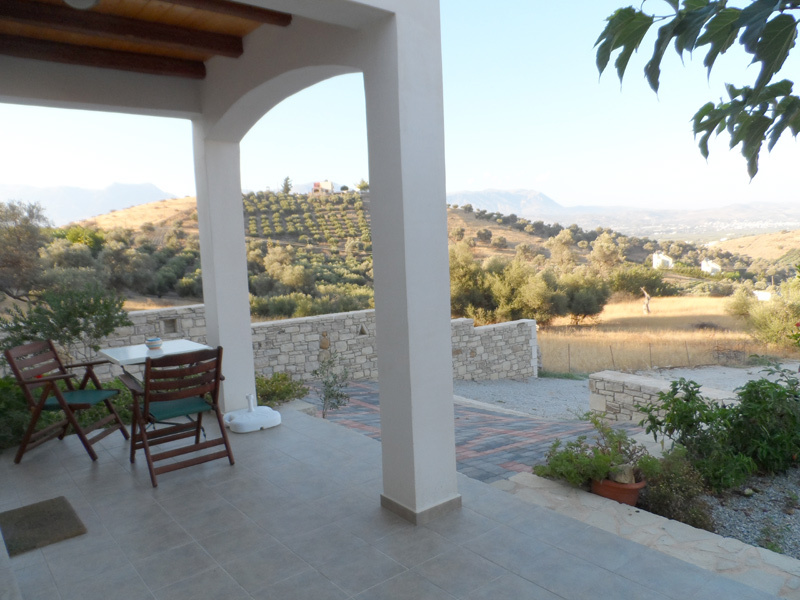 The beautiful and traditional village Sivas, located in the South of Crete, is surrounded by true nature. 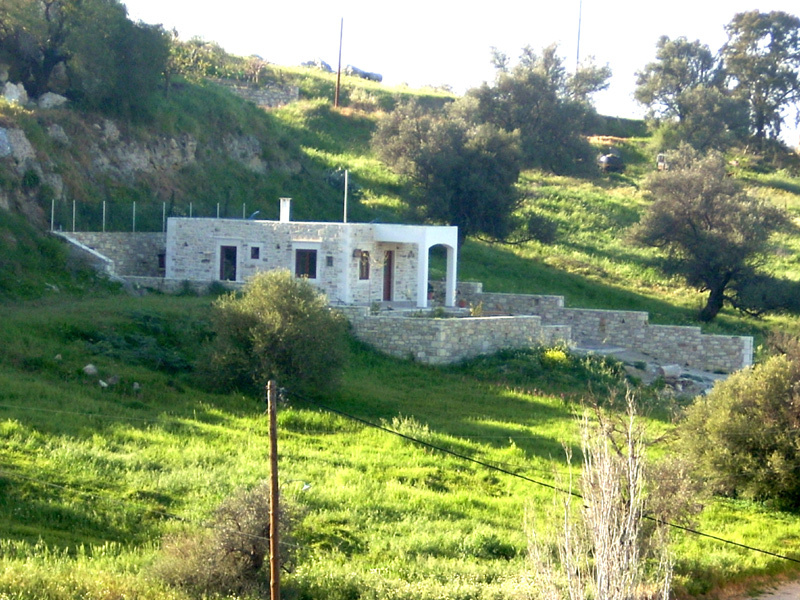 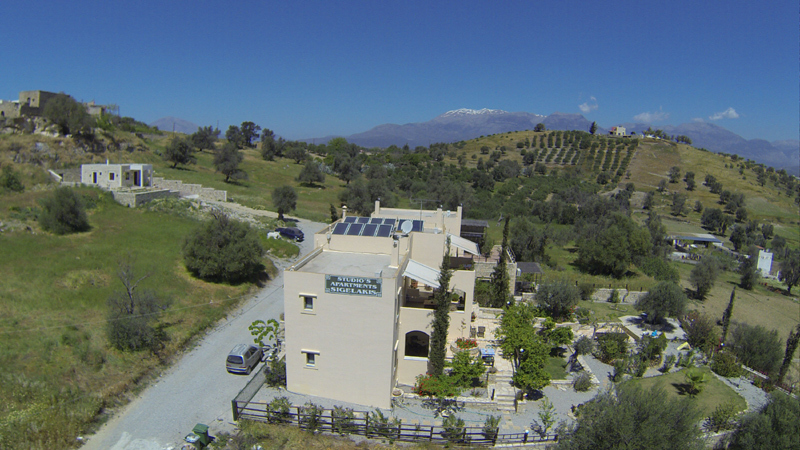 Here, we built in 2005 the so - called "Sigelakis Studios" on the top of a small hill with fantastic view. 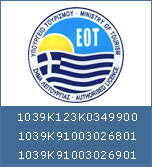 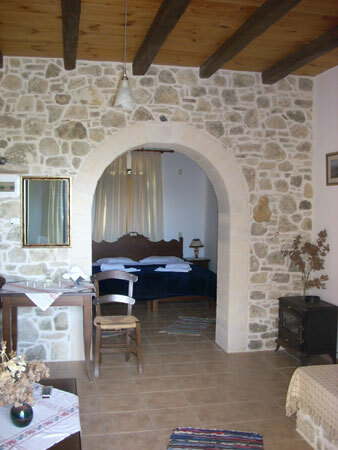 Gladly we have you fetched also from the airport /Heraklion, or organize your rented car for a low price. 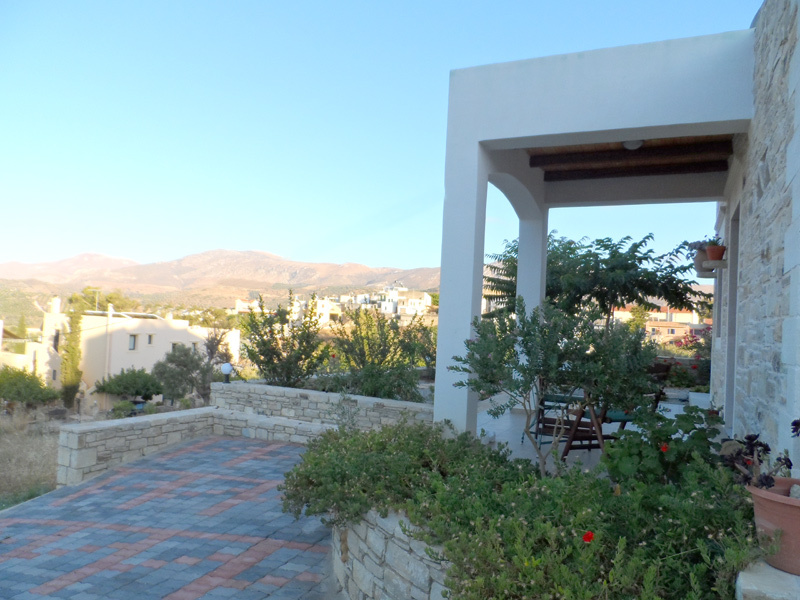 Don't miss to try the unique and traditional dishes that we serve in Sigelakis - Restaurant , located in the central square of the village. 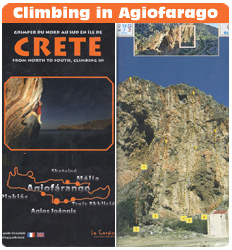 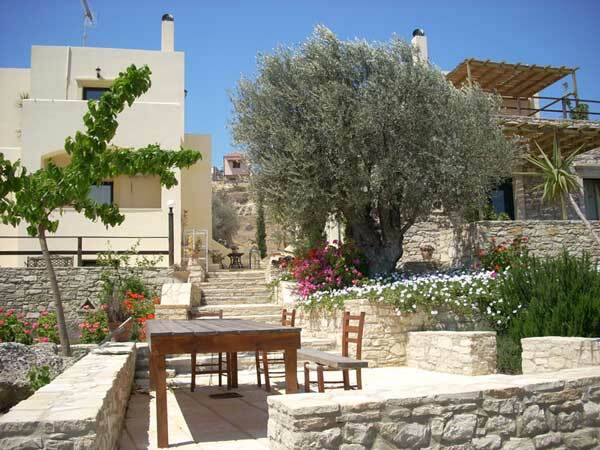 In addition, it is an ideal starting point for trips to nearby and lonely beaches or to excavation places or monasteries of the environment (to it more under the menu option "environment"). 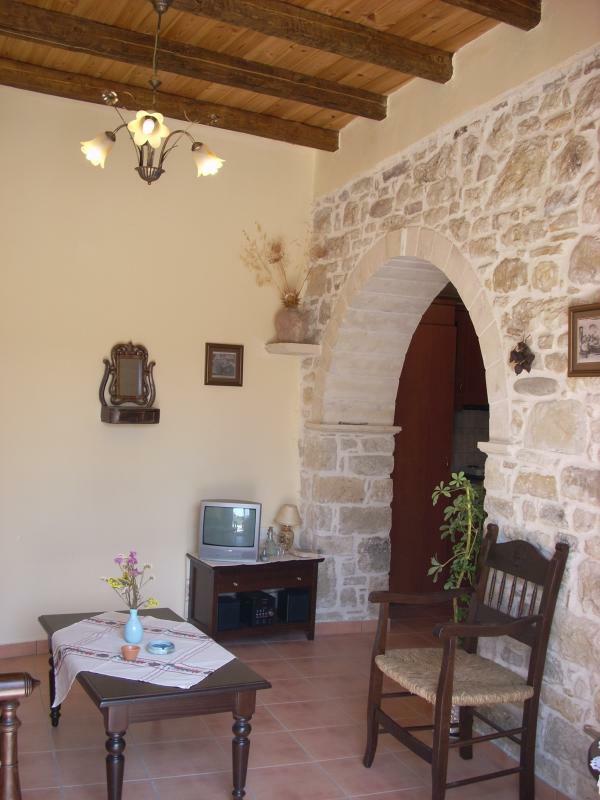 Moreover one can vitsit the museum in Vorous, or you enjoy a cosy walk in the forest of Ruva. 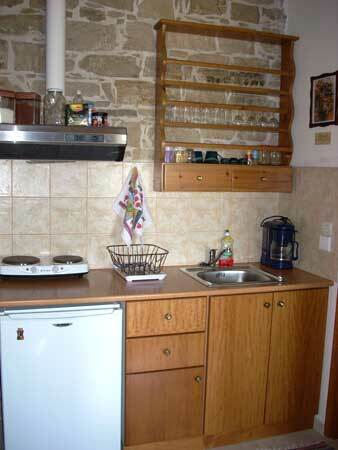 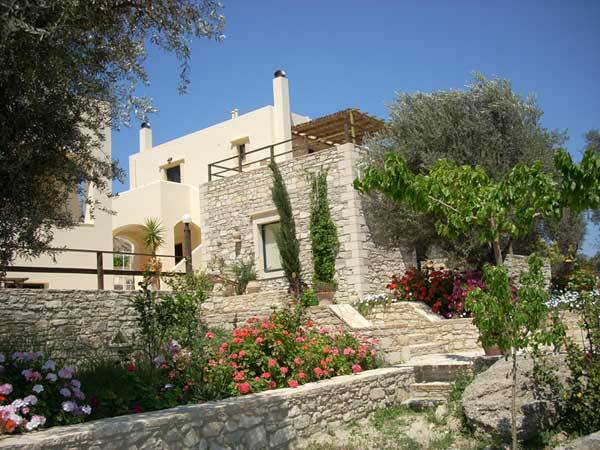 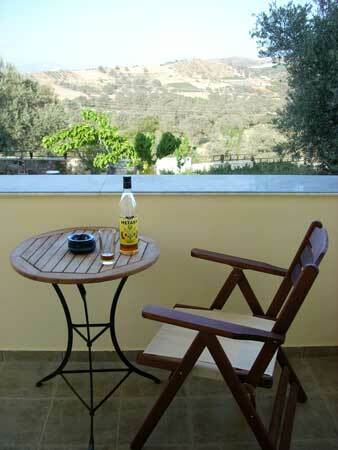 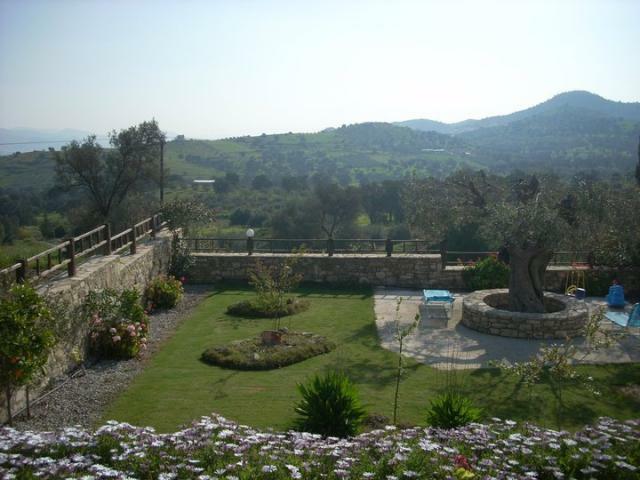 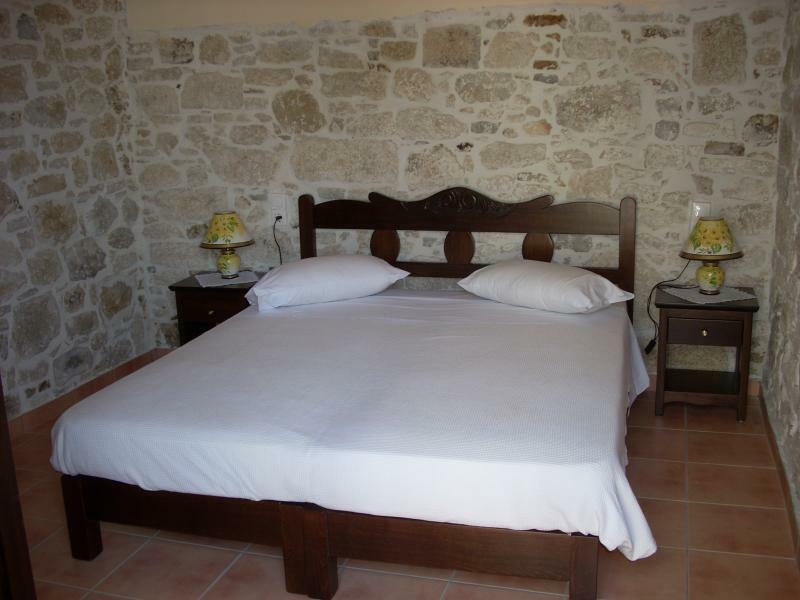 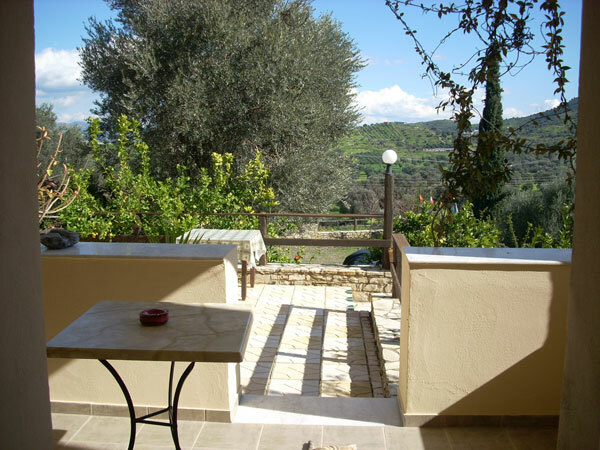 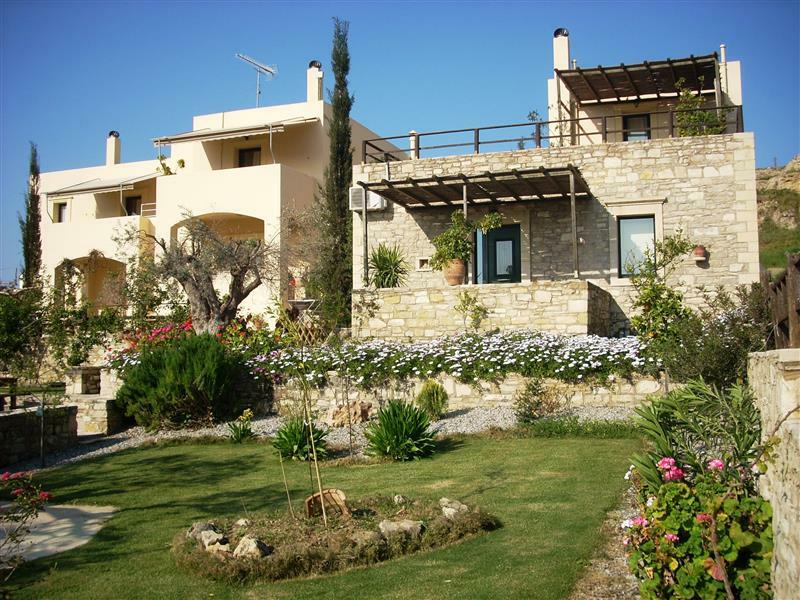 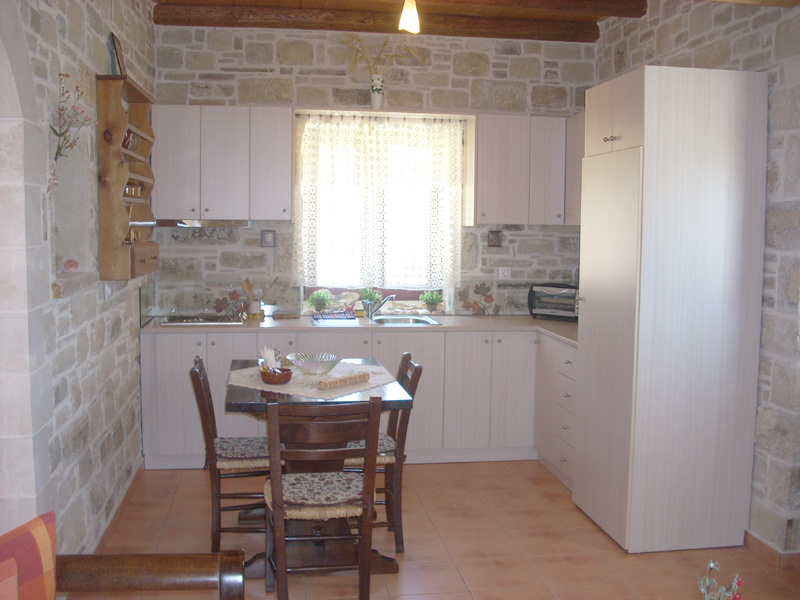 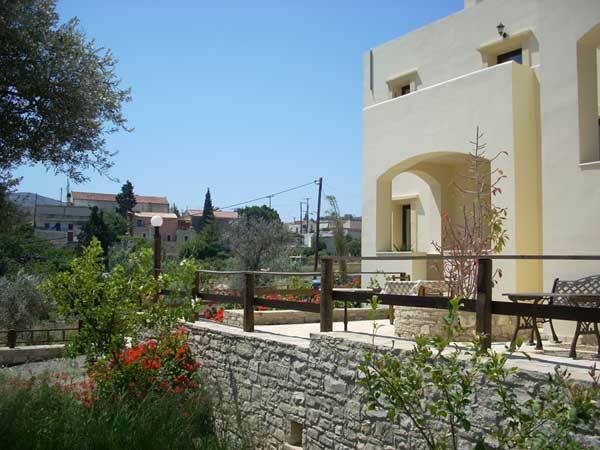 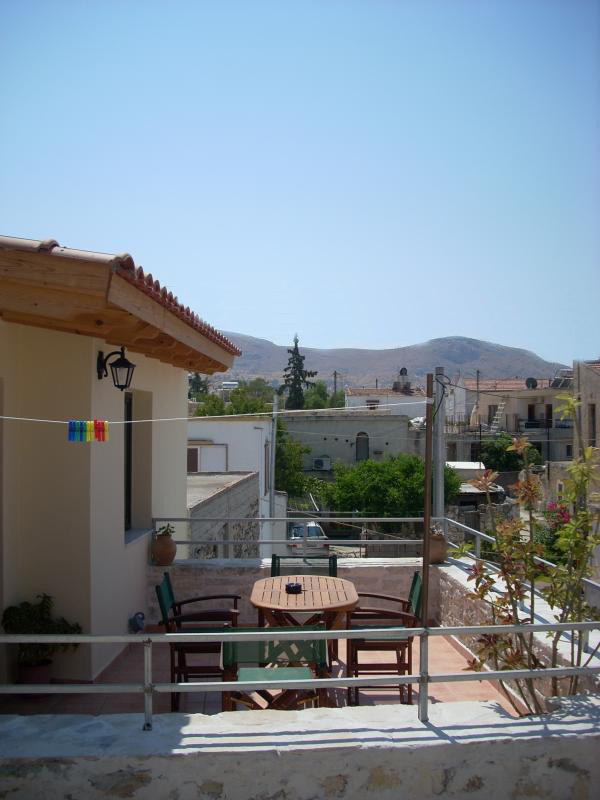 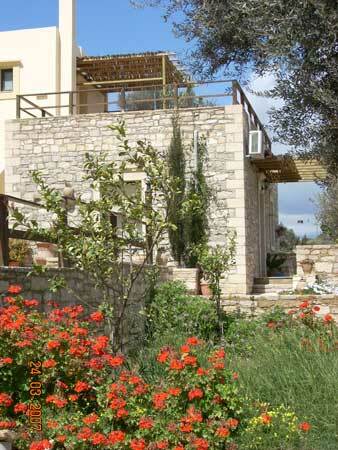 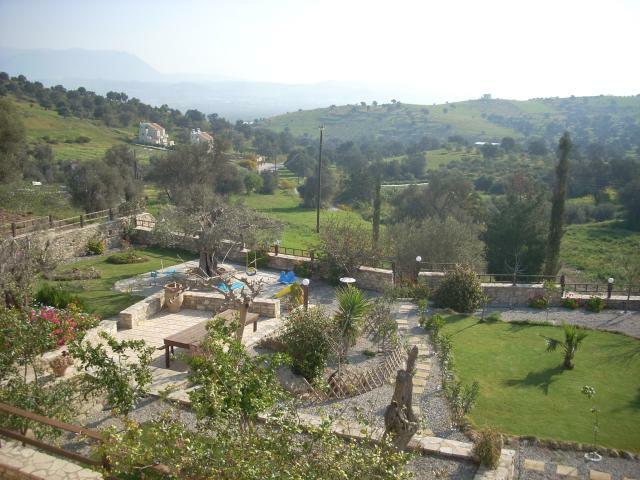 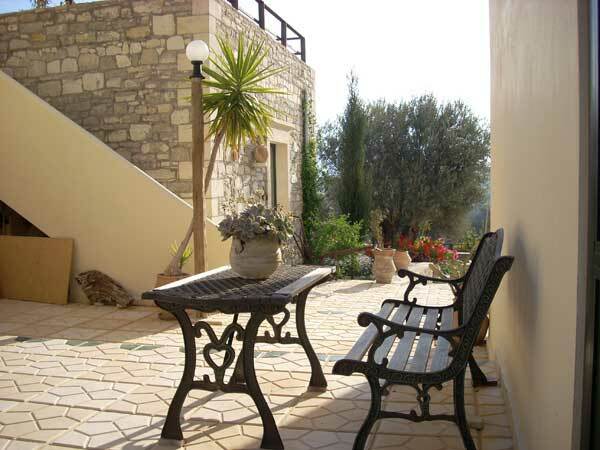 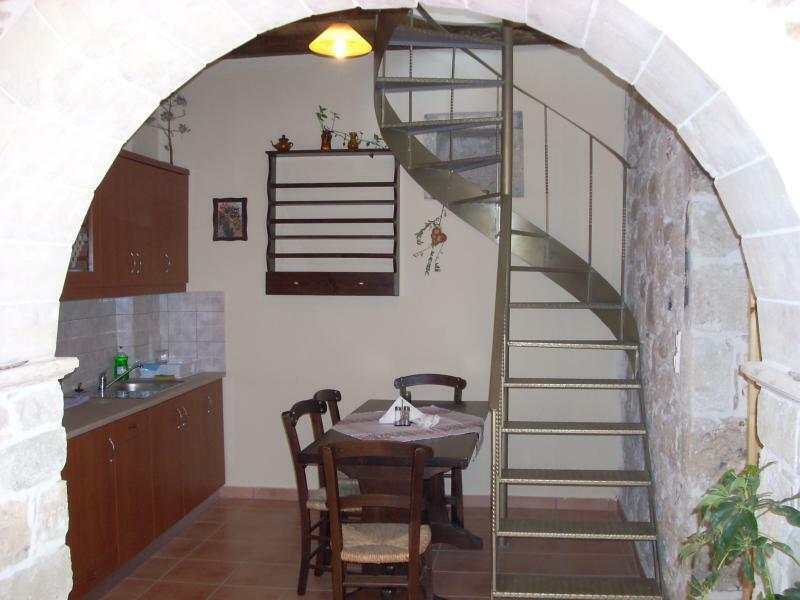 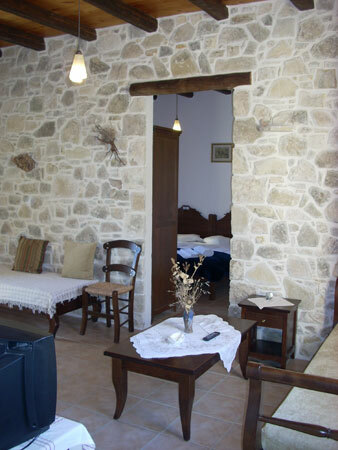 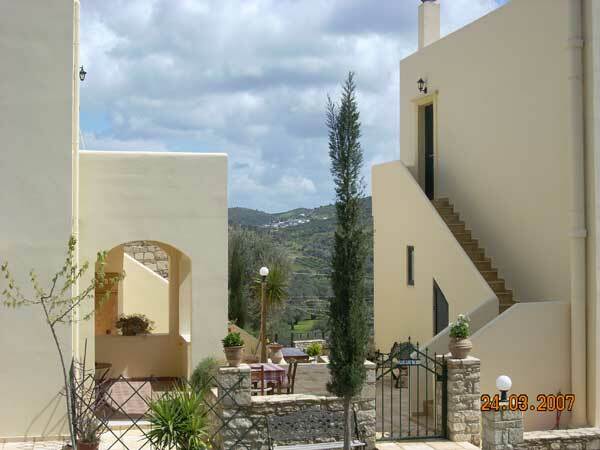 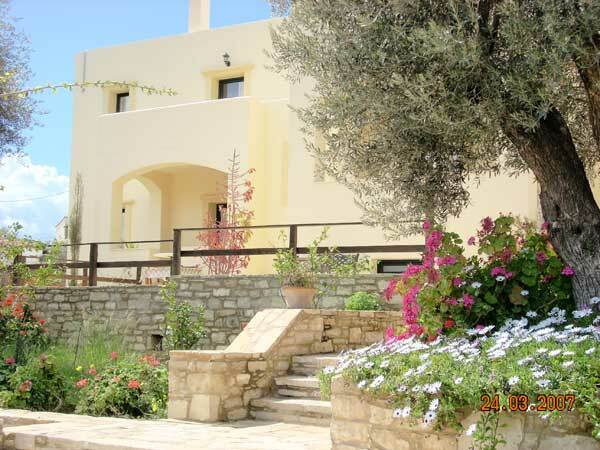 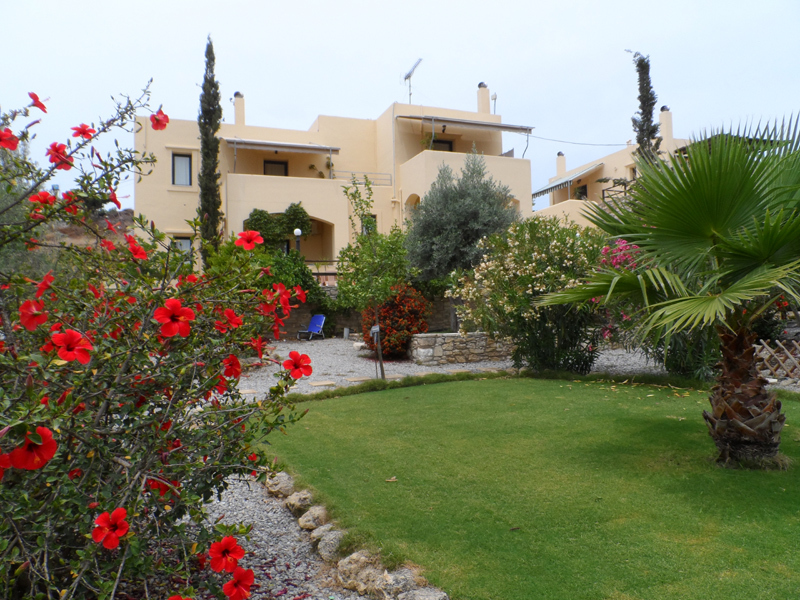 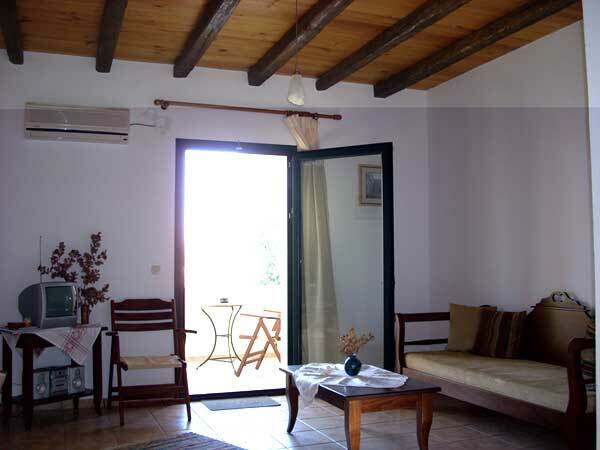 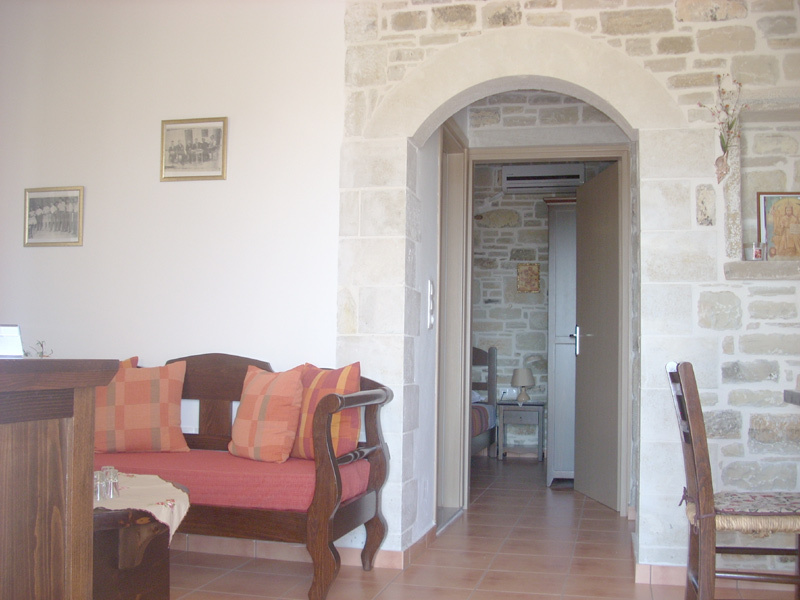 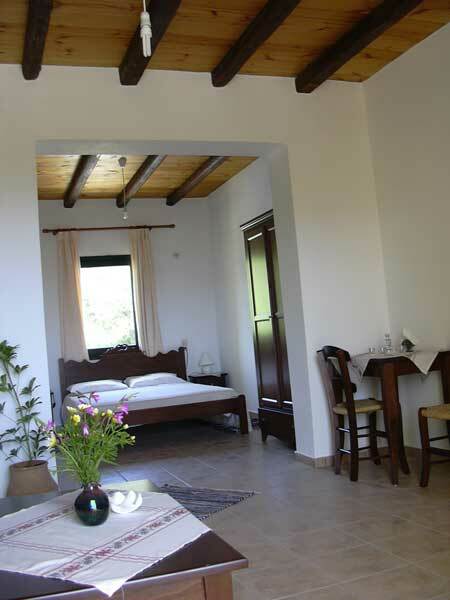 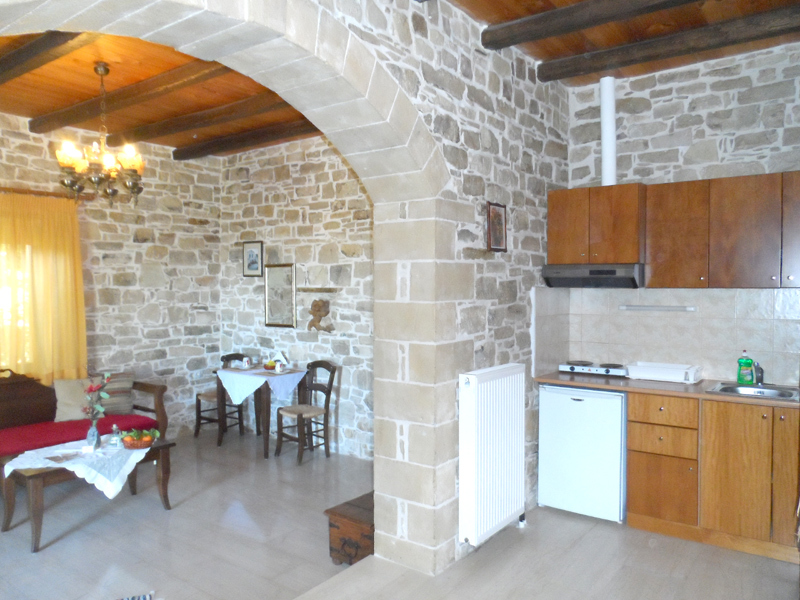 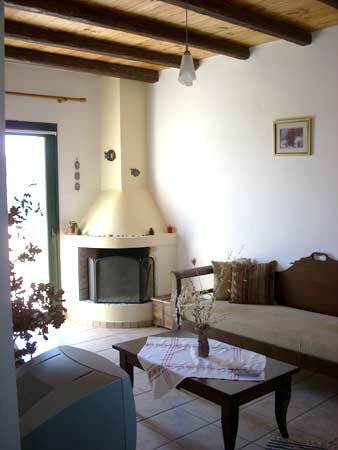 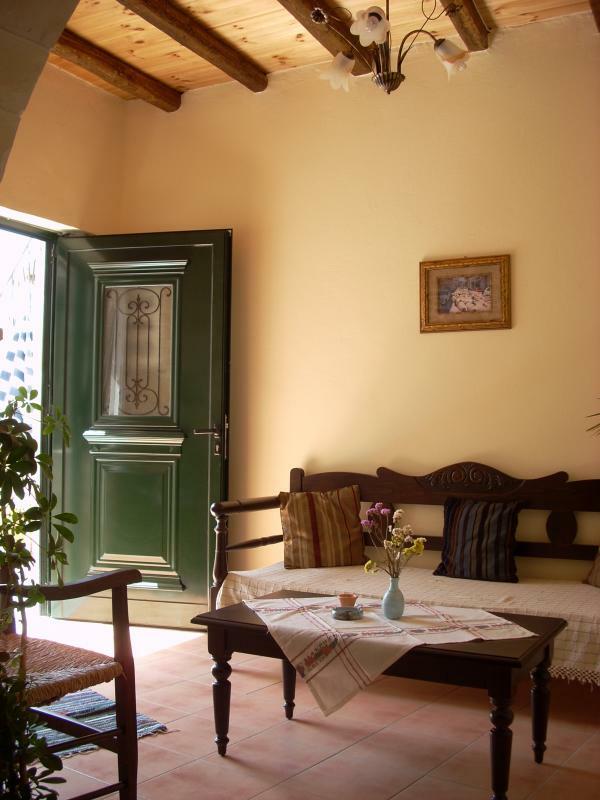 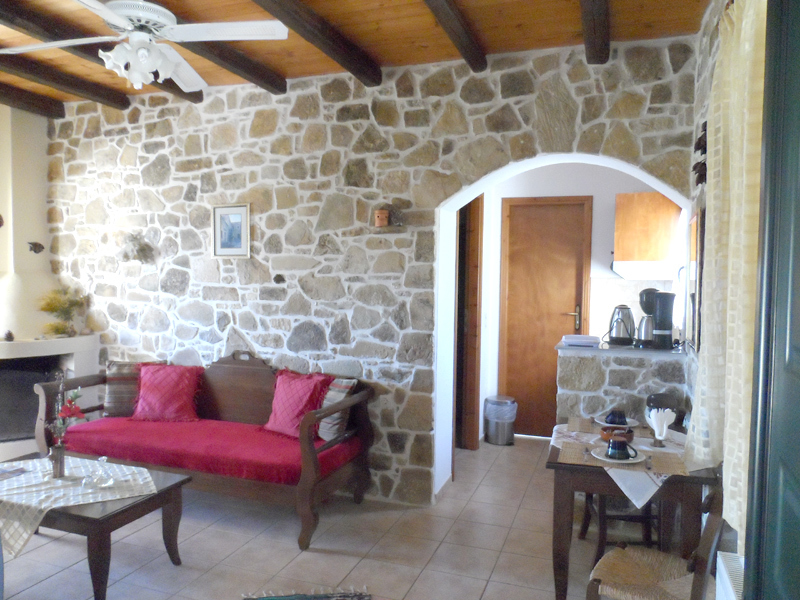 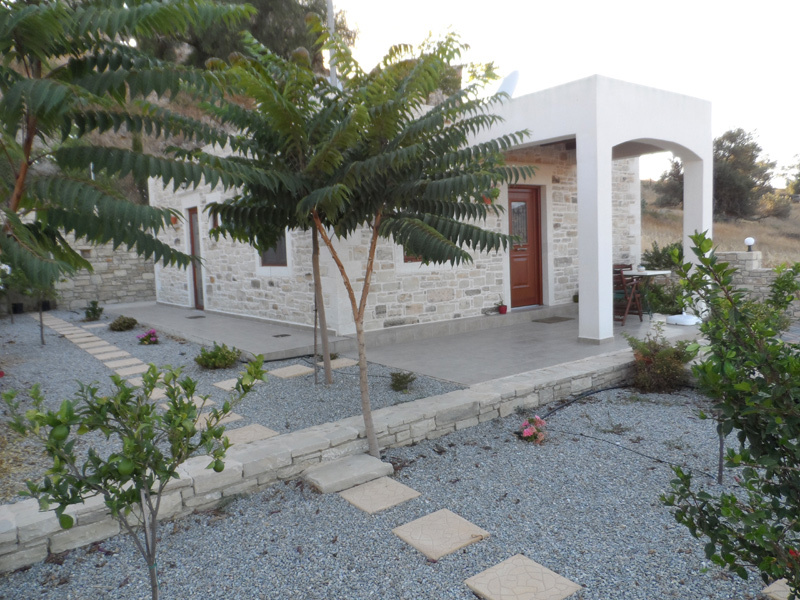 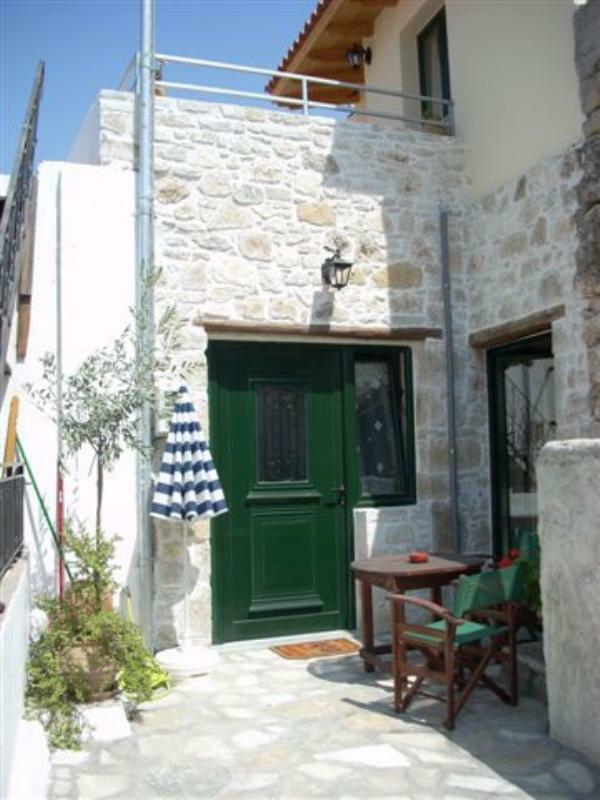 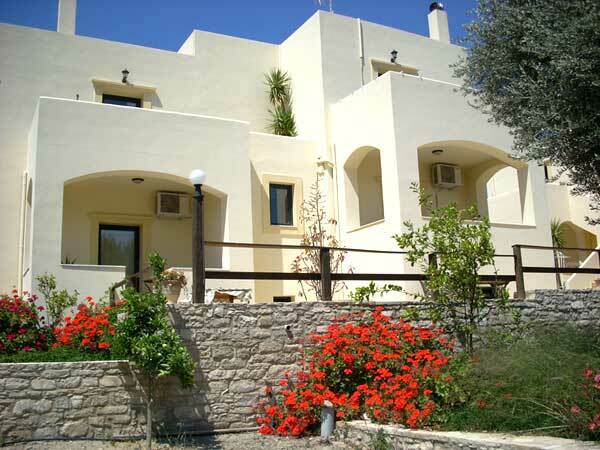 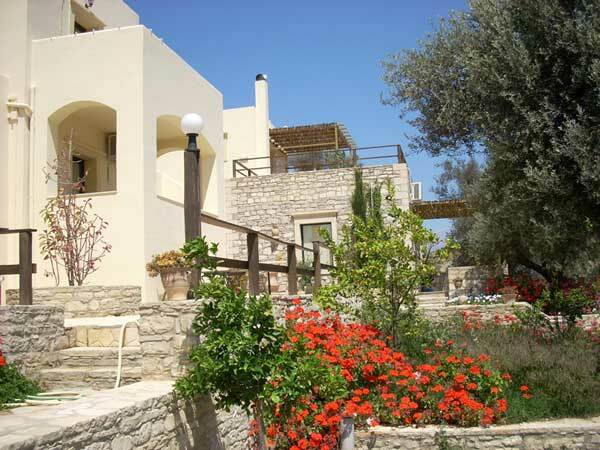 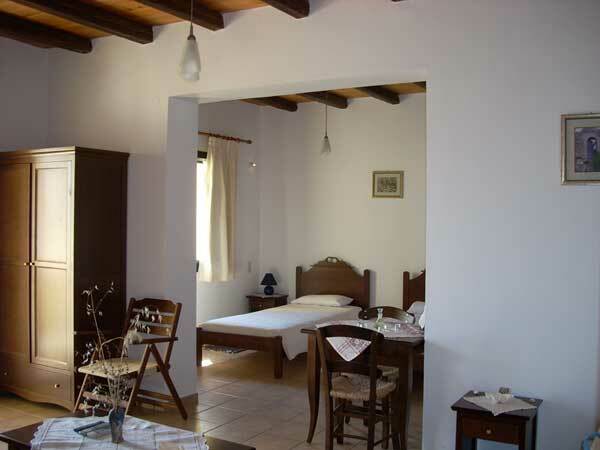 They are very comfortable apartments furnished in the warm greek style of this region. 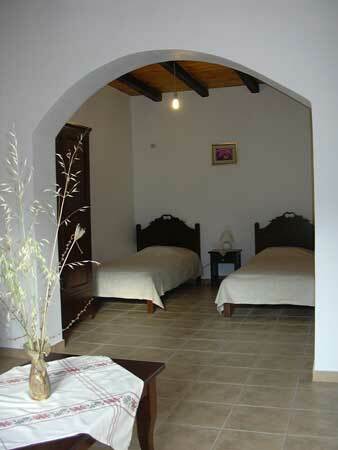 All studios are comfortably and exclusively furnished. 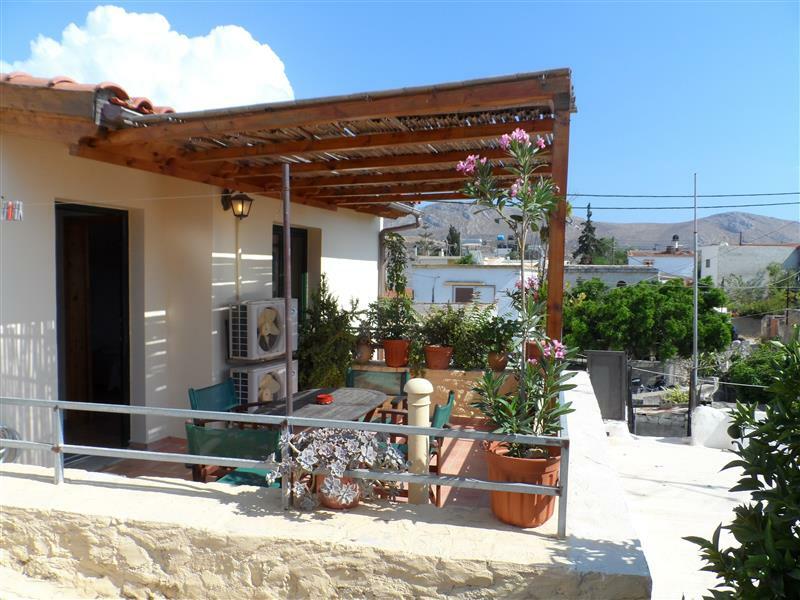 They have bath (Shower/WC), kitchen, refrigerator, TV, music, climate, central heating, fire-place, balcony and own parking lot. 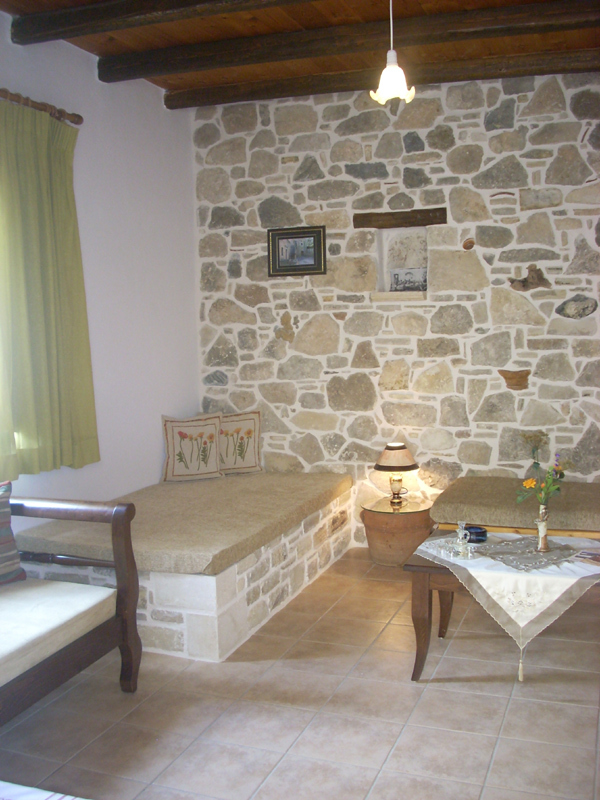 Traditional stoned house in the village for 4 people! 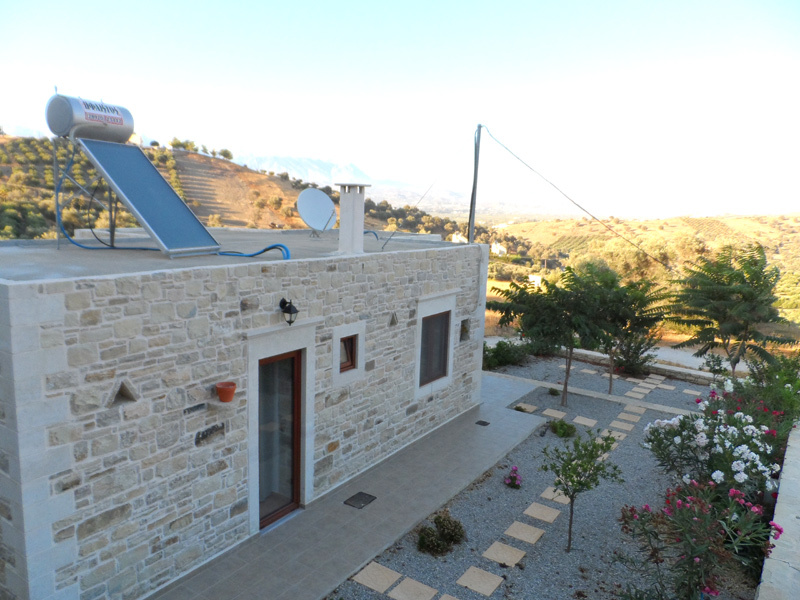 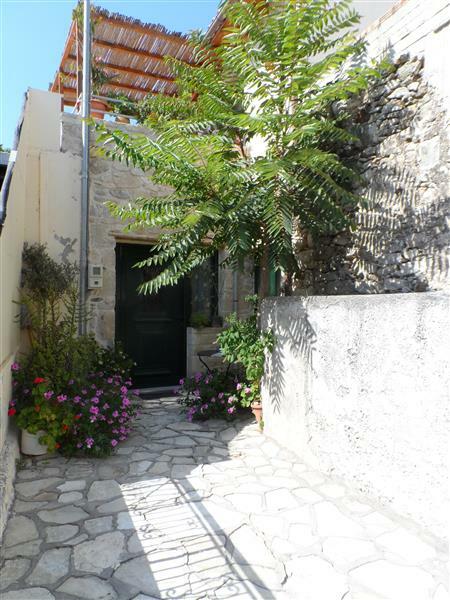 In the centre of the village you will find our new, fully-renovated apartment, built in a traditional Cretan style, which can accommodate up to 5 guests. 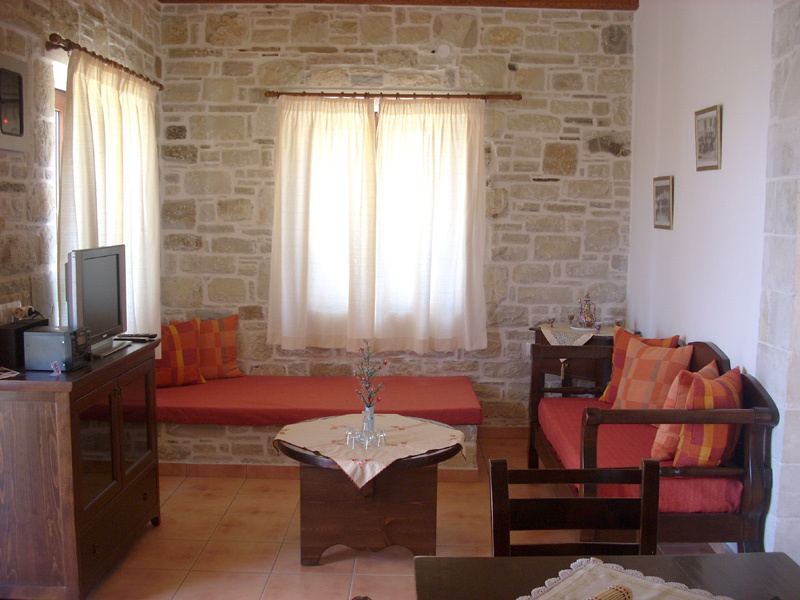 The apartment consists of: 2 bathrooms, 2 bedrooms, a spacious living room and a fully-equipped kitchen. 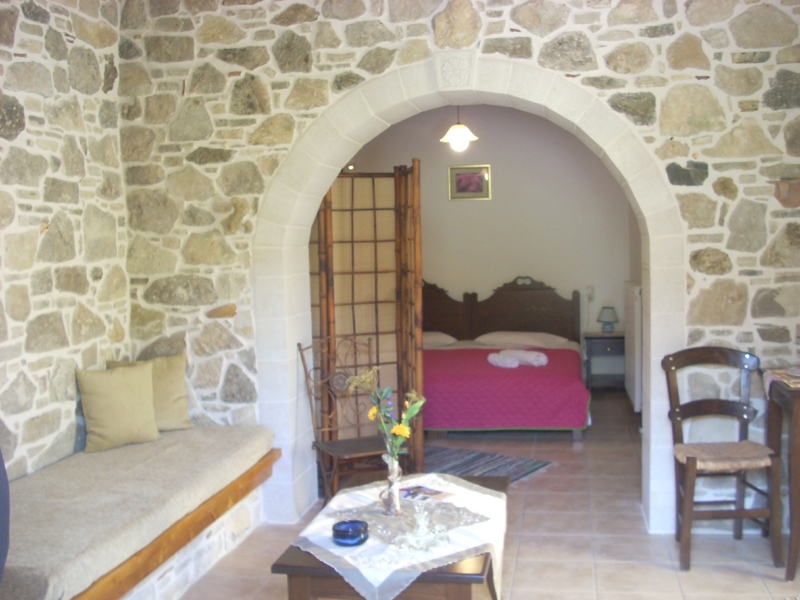 It is built in 2 levels and has a traditional-style sleeping area (“ontas”). 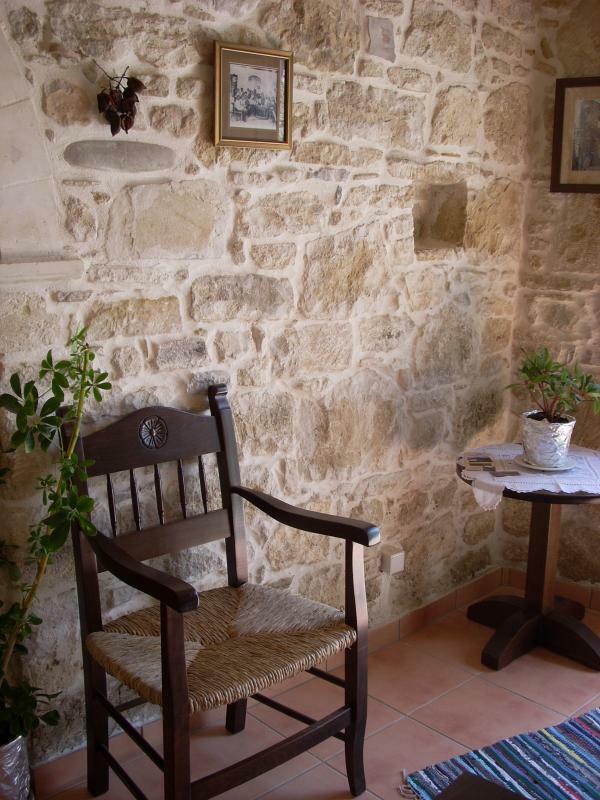 Live the unique experience of staying at a traditional house where you can enjoy moments of absolute rest and relaxation.